HÀ NỘI – Japan beat Việt Nam 3-0 in Group B’s second match in the ongoing 2017 Asian Women’s U23 Volleyball Championship in Nakhon Ratchasima, Thailand, on May 14. 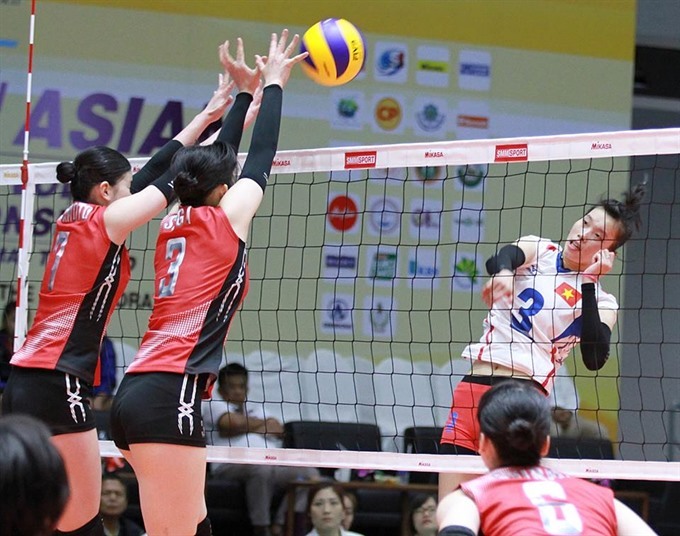 Japan played with high speed, forcing the Vietnamese team into a passive position and losing to their rival 12-25 and 15-25 in the first two sets. In the third set, Thu Hoài helped Việt Nam narrow the gap significantly, but Japan performed better and won 25-21. On May 13, Việt Nam had crushed Uzbekistan 3-0. The team will get one day’s rest before competing in the event’s second round with the team that is in second place in Group B.